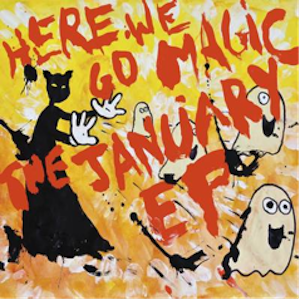 With the power to transport you to another dimension via a six-song EP, Here We Go Magic is a band that truly lives up to its name. The January EP is the companion release to their critically celebrated sophomore effort, Pigeons LP. Both albums are a result of a song-writing endeavor that began at a farm house in upstate New York. While Pigeons contains some tracks I love and some I could have done without, The January’s spaced-out cosmic jams fit together to create an exciting (albeit short) album that left me craving more. The January EP will take you to outer space and back in just over 20 minutes. Sit back, relax and enjoy the ride. Check out the songs HERE!